I never thought I wanted to be a farmer. I grew up on a large chunk of land in rural Vermont with big gardens, but for a while I thought that success meant leaving all that behind. I had aspirations to have an important-looking office and have an important-sounding job. Now I think there’s nothing more important than being a farmer. After all, everybody eats. I don’t remember the first time I planted a seed or watched something grow. But I do remember the last time I was in total awe of the process. I had recently planted a raised bed full of early scarlet globe radish seeds, and had been eagerly checking them each day for progress. When I went outside one morning to do my rounds and saw little green shoots poking through the soil, I literally jumped for joy. This is why I farm. Having been at it for four years, it’s not as though I was new to the process of planting a seed and having it actually, well, work. But each time I see a new plant poking its head above the earth, it seems like a small miracle. How does a tiny seed turn into a giant brussels sprout stalk and produce many a delicious meal for me and my family? What an amazing process! It never fails to amaze me. Because really, one can never have too many maple balsamic roasted brussels sprouts. 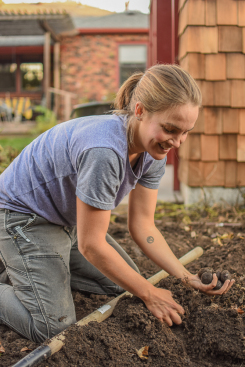 My passion for digging in the dirt was rekindled in college when I spent hours tending to other farmers’ brussels sprouts and miracle radishes and picking the brains of people who had chosen and committed to the lifestyle that I was starting to envision for myself. I took several classes for my writing major that paired creative writing with the study of agriculture. Instead of sitting in a classroom, my learning took place while shadowing farmers in northern New York. I took in the fresh scent of rich soil and gained calloused hands while digging, lifting, harvesting, watering, weeding, planting, and seeing--for the first time--a goat be walked down a country road on a leash. I loved the physical act of working the land--the lines on my palms caked with soil, the great and satisfying sound a carrot makes when you pull it from the earth, the sound of happy hens pecking away at whatever tasty pile of leaves and kitchen scraps you threw them, and even the way the most seemingly endless weeding job becomes meditative once you settle in--I found this work elating, somehow connecting with a childlike joy that often eluded me in my previous work experiences. 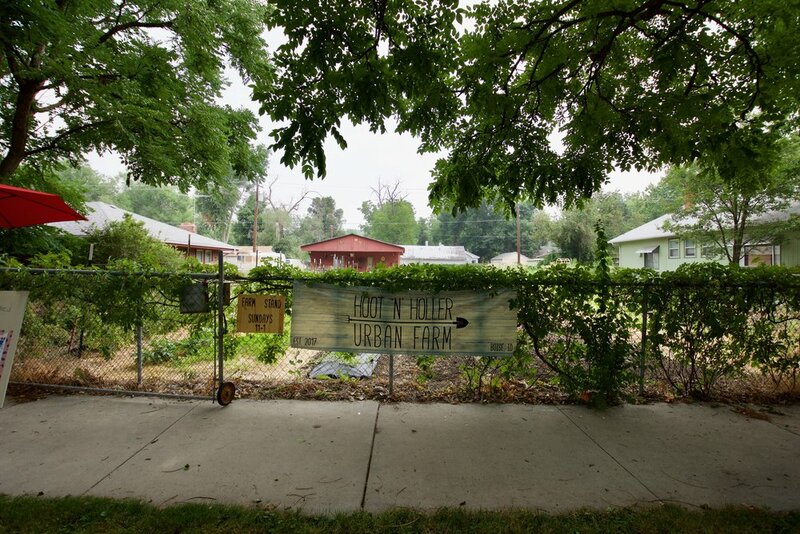 After several farm seasons in Vermont, New York, and Idaho, I finally decided to take the plunge and start a small urban farm with my partner in downtown Boise. 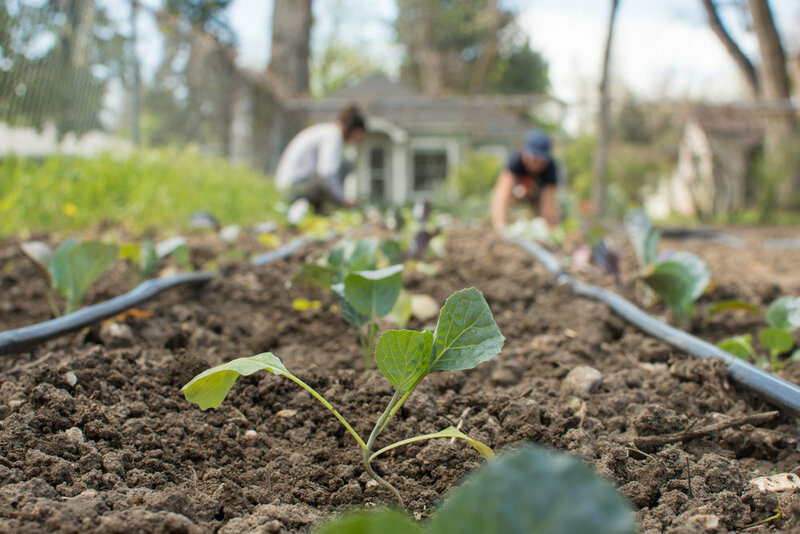 We pay the water bill and provide vegetables for the landowner who is otherwise letting us grow on his plot for free. This feels like a huge gift, with access to land being the biggest obstacle to my farming dreams (as well as those of many other young farmers). 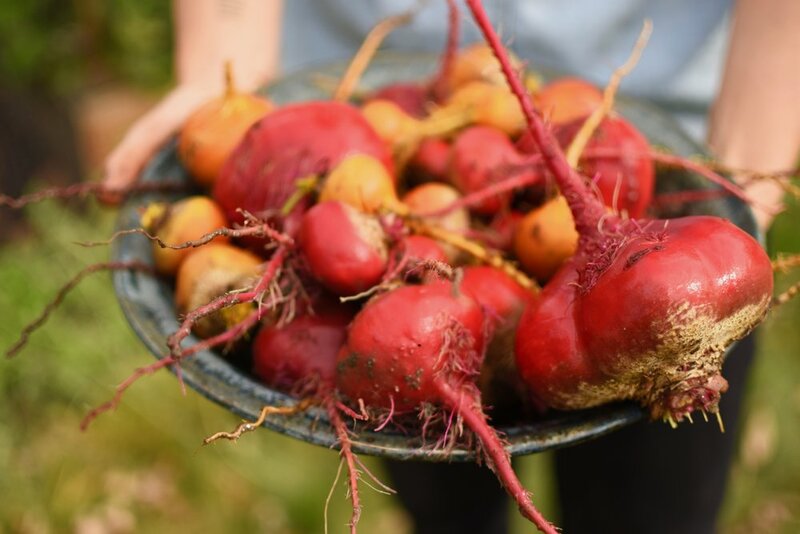 With other small land contributions from family members and neighbors, my vision is to create a space that brings my local community together through food. Neighborhoods used to provide strong and social circles, acting as support systems that far surpassed the proverbial cup of sugar. Now, in a culture that values independence above all else, it’s often rare to even know your neighbors at all. What we have gained in self-sufficiency we have lost in connection. Hoot ‘n’ Holler Urban Farm is in its infancy, but my hope is that it one day it blossoms into a unifying feature of the neighborhood so everyone not only knows each other’s names, but also has the opportunity to know each other as people with lives worth sharing. Although it took me a few years to come around to the idea of farming as a career and a lifestyle, now I can’t imagine doing anything else. Besides writing, that is. Luckily for me, the two pair well together, like chocolate and strawberries or coffee and, uh, everything. I hope that the power of young farmers around the country will show people that farming is essential. I hope that everyone, at some point in life, has the opportunity to witness the small miracle that is a seed sprouting through soil and turning into food.